I believe every woman can feel beautiful no matter her shape, size, or budget. My name is Sandi and I work with women to simplify their wardrobes so they can create a flattering and functional closet space with more outfits and less clutter. Do you desire to create a wardrobe you absolutely love and feel amazing in? Do you dream of walking into a store, understanding exactly what styles flatter you, and leaving in record time with new favorites and several exciting outfit options? If so, you're like most of my clients. That's why I set out to build my in-person styling business, The Style Shop by Sandi Mele, as well as my signature online style course, Simplified Style, so I could teach you everything I've learned over the years as I've successfully styled over 100 women! You see, I didn't start out stylish. I was actually a bit of a fashion disaster in high school when I was homeschooled and in college when I studied musical theatre. I even had a panel of judges at a voice recital critique my outfit one time (!!!). They told me the style of dress I had chosen was negatively impacting my posture and, consequently, the quality of my voice. Talk about embarrassing! I managed to get by but never found any joy in my wardrobe until I began working as a sales associate at a women's retailer. I heard about a local image consulting certification program and enrolled in the program with leftover scholarship money from my Associate of Arts degree. I learned about everything from body types, to textiles, to health and nutrition from one of the best stylists in the industry, Reachel Bagley, and was forever changed. I started seeing my body differently and enjoying styles I never thought I could pull off. I noticed how my newfound confidence allowed me to think about myself less and be myself MORE, and I knew I had to help other women discover the same freedom. Over 6 years later, I've had the pleasure of seeing the same results with over 100 in-person clients. They're now enjoying their wardrobes again, embracing their shape with the right styles, and piecing outfits together with ease. After all of the success stories, I've been able to further pinpoint what works and why, and re-create the process in step-by-step format for YOU, the woman who's sick of trying to figure it out yourself. So why choose me as your stylist? 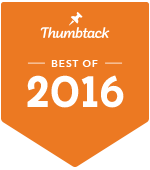 At the time of writing this, I have almost 50 5-star reviews, over 100 success stories, and Top Pro status with Thumbtack. I'm confident I can provide YOU with the same transformational results if you're tired of feeling stuck with your style and frumpy in your clothes. If you'll commit to 3 sessions with me as part of my best-selling bundle, The Style Shop Bundle, OR 5 weeks of self study inside my signature online style course, Simplified Style, I'll show you how to create a fun and functional closet space, dress in a way that sends the right messages about YOU to the people around you, flatter your body type with the very best styles, and outfit your wardrobe with ease. Click the button below to get the conversation started.